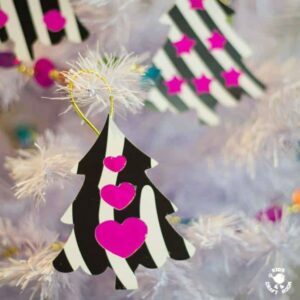 These cute little Christmas Tree Hanging Decorations are the result of a whole new area of crafting for us using a Cricut Mini machine we were sent to try. A simple Autumn craft to re-create the magic of falling leaves. 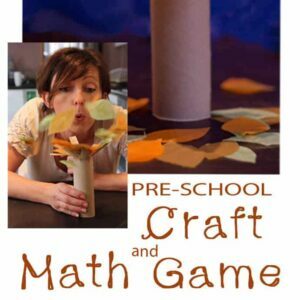 Then blow, blow, blow the leaves from the tree for a simple pre-school maths game. 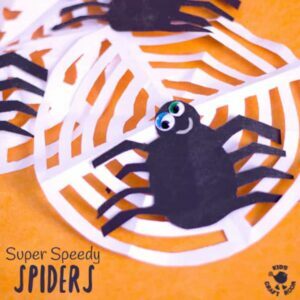 These Spider Decorations are so quick to make you can easily decorate the whole house for a spooky-tastic Halloween. 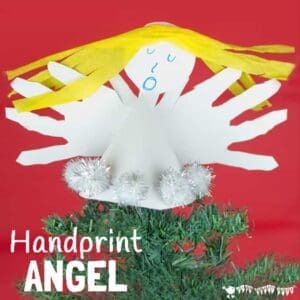 They’re also great as props for the Incy Wincy (Itsy Bitsy) Spider song too. 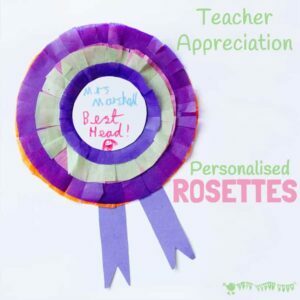 Cute and colourful personalised rosettes make perfect Teacher Appreciation Gifts. 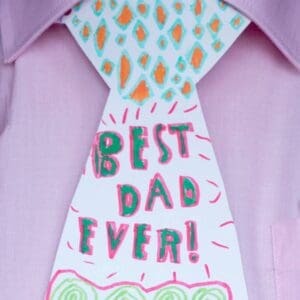 Quick and easy to make they are such a great way to say “Thank you”. 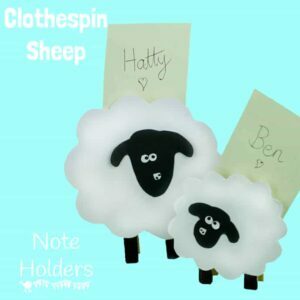 Baaaaa…..These cute Clothespin Sheep Place Card Holders are easy and quick to make and great for an Easter or Spring party table. 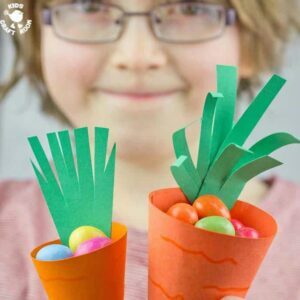 Cute Carrot Easter Baskets, free printable. 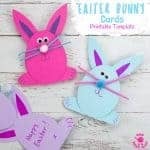 Perfect for Easter egg hunts and just the right size for little hands. 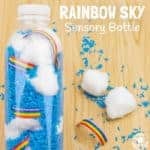 Munch, crunch!